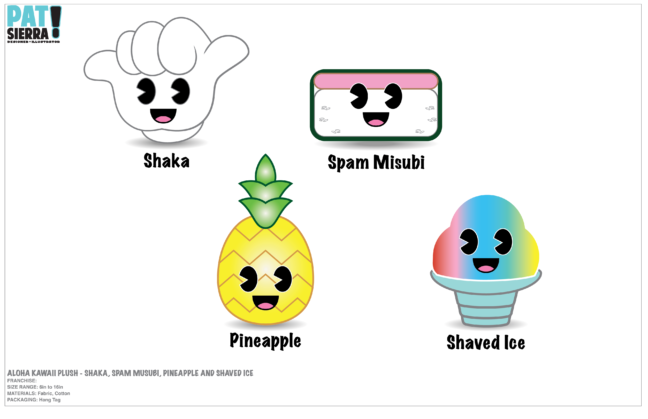 Aloha Kawaii is a concept I’ve been developing using icons from Hawaii. I thought it would be fun idea to have plush, vinyl toys, keychains or bobble heads in chibi kawaii form. The design was completed using Adobe Illustrator.